If you keep trying to promote your website without practicing SEO your content isn't going to reach many people that are searching for the type of content you write. Fact, over 2 million blog posts are published daily. Among these are experienced blogger's posts that are always at the first pages of search results. Simple answer: Search engine optimization (Seo). Instead of using social media sites to boost up traffic, how about you practice some Seo techniques. Proper understanding and practices of seo can increase your traffic significantly. Many people would find your contents easily in search engine results (google, Bing and so on), that is why Seo is also important. Google records over 4 billion search queries worldwide on a daily basis. I know you wouldn't mind one - third on that ending up on your website on a daily basis. Well, I will love it to, that is why I am taking search engine optimization (seo) seriously and you should too. What does SEO (that millions of people google every month) mean? Apart from the fact that it's an acronym, that stands for 'Search engine Optimization', what else do you know about it. Since this is a step-by-step guide, let’s start from the Beginning. Difference between Do follow and No follow links. Important things to know about blogging. Let's keep dictionary meaning aside, here is what I understand about SEO in plain terms. Search engine optimization is a systematic process of optimizing a websites design and content, so that it can appear in the top pages of google (and other search engines) search results. search engine optimization (seo) techniques are strategically taken to help one rank one better in search results. Ranking number one in google searches doesn't happen overnight, so you need to be patient. But I can tell you this, when your website ranks in the first pages of google search. You’ll have more visibility, plus an incredible increase in website traffic. Then you will know for sure that google trusts your site and more of your pages will begin to rank better. Don't worry about, " Not actionable seo strategies". I' m offering to you today seo techniques that actually work. Endeavour to constantly update your website with useful and quality content. Learn to strive for quality over quantity when it comes to content writing. Your aim should be to publish helpful articles and videos for humans too not just search engines, so therefore focus on improving readability of your content. Also keep updating your website with fresh contents. I will keep talking about this. Internal linking is so important. This will improve indexing and visibility of your website. No one is aspiring to be on the low-ranking pages on search engine results. Even ranking on page 2 or 3.... Isn't enough. Most of time people end their search on the first pages without bothering to click on page 2. Practicing proper internal linking with a Do follow link attribute would increase your Link juice for higher ranking. Always use long tail words for your post titles, Include more than one relevant keywords. Just enough to optimize search engine traffic. But not too much that you end up stuffing keywords, no this is not what I'm saying. Google prefers long content about a topic to short contents. It shows google that your content is more detailed. People generally are more prone to sharing long contents more than short contents. The message is usually sent across with in depth understanding. According to a search by Backlinko, the average word count for google search page 1 is 1,890 words. So, do more researches and write long blog posts. 5) Keyword's too common? Then create your own keywords. The goal here is to rank highly in google search results. Instead of reusing over choked keywords, how about you create your own. Create something unique as your keyword, whether it’s a brand name, product or a tutorial article - You are bound to end you in the first pages or you might even find yourself ranking #1. That is, if your keyword becomes popular. This is one of the best seo techniques to follow. You can get your own set of untapped keywords from seed keywords.Com. The use of relevant and targeted keywords of your selected niche would both increase website visibility and increase organic traffic, so choose wisely. You can also google keyword planner to help in selecting appropriate keywords. There are several ways you can try optimizing your webpage links. Your links should always be in form easily read by search engine bots. All page URLs for your website should always use hyphens and use less underscores. If humans find your URLs hard to read, I can't imagine how the search engine bots would take it. All round use of capital letters in URLs and title tags should be avoided. Page URLs are case sensitive, so try not to confuse search engines. The robots.txt files includes an allow and disallow section. With this, you can prevent search engines from crawling certain web page URLs that are less than ideal. This is very important. This would preventive duplicate content pages by telling search engines your preferred web page. # 12: structure your URLs with target keywords. This can help people find your website easily through search results. Add target keywords in your URL. Edit the default permalink, by shortening and adding only target keywords. Use hyphens to separate each keyword. This is very crucial and most people make this mistake. Take a moment out if your busy schedule to update and republish your old posts. This relates to how quickly your website or blog loads. This affects SEO and it's becoming more and more important. You can check your website page speed using google search console. Due to the differences in screen size, there is a need to optimize your website compatibility on mobile devices. For mobile optimization, according to google a responsive design is best. People should be able to navigate through your website easily, irrespective of the device they make use of. Get your share of backlinks from authority sites. Authority sites are sites already trusted by its audience and other search engines. The more the backlinks you have from authority sites, the more the link juice for higher ranking. Think of it as a vote of confidence for google to trust your website more, and with time your website will become an authority site as well. The only thing you should be aware of are spam comments. No, no you don't want that, remove them right away. It is always better to add no follow attributes to your comments section. That way google will just ignore it, Problem Solved. If you own an actually business, store or company. It's best you add it to google my business, so that people that reside near you can find you with ease. When you register, don't forget to make sure the information you added about your industry or company is accurate, real people are going to try and find you. So, it’s important you input the right details. This has to do with focusing on human navigation through your website. Avoid annoying pop-up ads, it causes bad user experience. Properly arrange ads on website, it should never obstruct or block the main contents. Search engine optimization is a gradual process. As a website owner, it is something you should continuously work on or get a seo expert to work on it for you. If you want to take your website to the next level, seo is the best way to go. Increased visibility of a website is the goal here. Follow the above points to get started with basic seo. Do you have any questions or suggestions? then i will love to read them in the comment section below, thanks. Great tips. Absolutely must follow them if you want to be a successful blogger. Thanks Vladimir. You're absolutely right. Great information it really helped me. This is a super useful guide, I'm always struggling with SEO! I need to optimise my old posts and check my site speed! Thanks Chloe. Those are very important points. Happy you found the article useful. Great post with some fantastic and practicable tips :) SEO optimization is a huge topic these days and you've broken it down very nicely. This is must-read for every beginner. Thanks Pedro! for your kind words. Great post, very helpful will be suing all of these tips from now on! You are very welcome Dominique. Happy you gained something from reading this article. Some good tips for bloggers who don't understand the basics of SEO and keywords. It's important to understand simple techniques that work. It's very important indeed! Thanks for your input. I really needed this - I'm new to figuring out SEO! Glad I could help, Goodluck! some really good tips here! I need to go back to my old post and update. All blog posts are important irrespective of when there were posted. Always update them regularly (3-5months) and automate shares to make things easier for you. I really loved all these awesome tips! Will be sure to use them. 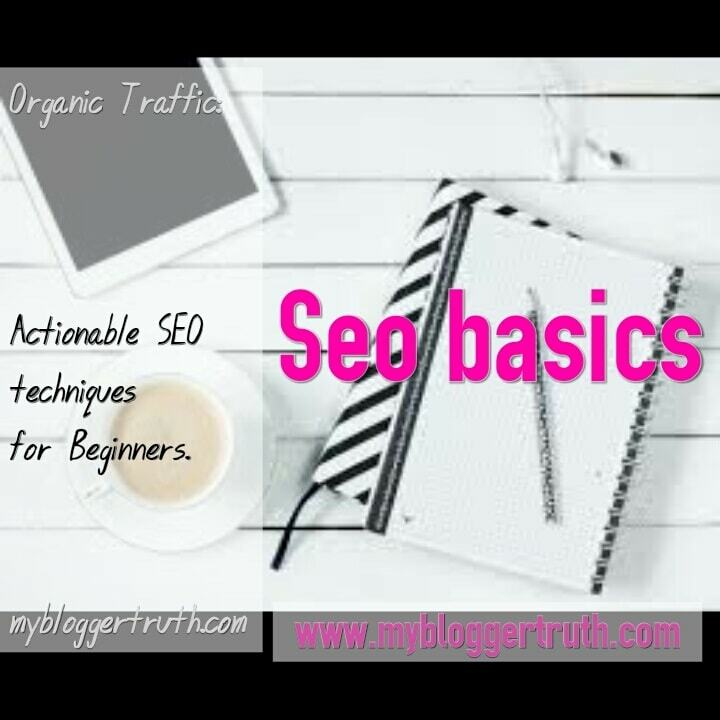 I've been trying to learn abut SEO since I started my blog back in March. I'm going to have to make a checklist to make sure I'm doing all of these things with every post. Seo is very important, trust me. But good news, its never to late to improve on your website. Include all meta tags and add alt text to all your images, it will help also. Work on seo daily. This is amazing. I had no clue about urls being case sensitive. We learn everyday, Thanks Janire. Thank you for the share this information. Very useful and informative article. Regards about your great work.